Beautifully hand forged in Japan. The design of this type of knife comes from Europe. 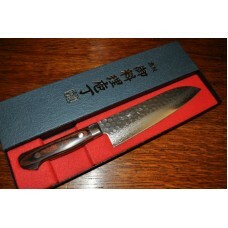 This knife has a double ground blade, so it is good for cutting food vertically. Besides meats it is also good for cutting vegetables, small fishes and hams. 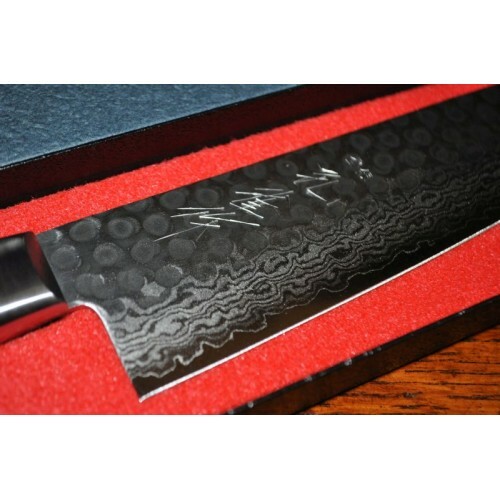 The hammertone finish allows for less friction as the blade slices through the food. The mallet mesh has been applied on a beautiful patterned 16 layer Damascus steel of the knife body and cutting edge of the knife. It has been finished with Japanese forging. And the blade of knife has been forged with Japanese best non-rust steel, V-10 Gold which is used for the main steel of the knife to enhance the durability. 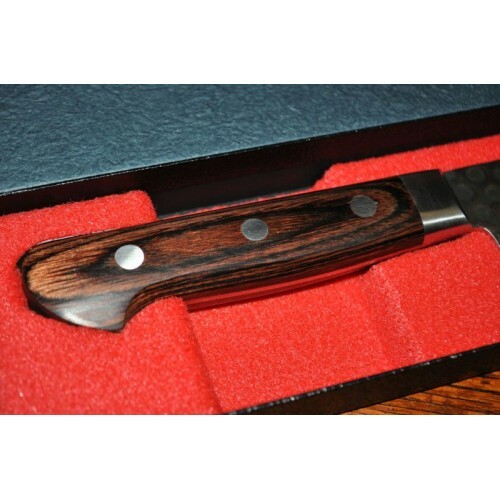 The waterproof mahogany laminated plywood has been used for the handle.